Vitamin E is a fat-soluble vitamin. It is also known as being a powerful antioxidant. Antioxidants are helpful in your diet, because they neutralize free-radical cells in your body. Free radicals are cells that have become oxidized. These can be harmful, but they occur naturally from processes that occur inside your body. An abundance of free radicals may lead to such conditions as heart disease and cancer. Getting enough vitamin E can reduce disease and symptoms that affect women. Heart disease is accountable for more deaths in women than any other chronic disease. Vitamin E may lower your risk of developing coronary disease, according to the National Institutes of Health Office of Dietary Supplements. Vitamin E is associated with reducing oxidized low-density lipoprotein, or LDL, and blood clots, according to the July 2012 issue of "Iranian Journal of Basic Medical Sciences." Low-density lipoprotein is the molecule that carries cholesterol through your bloodstream and into cells. It plays a crucial role in the development of atherosclerosis, because it is very susceptible to sticking to plaque-developing sites in your arteries. Reducing oxidized LDL reduces the development of artery-clogging plaque. Vitamin E may contribute to a reduction in breast, colon and prostate cancer according to the November 2011 issue of "Nutrients." The proposed mechanism of action for vitamin E and cancer prevention is its positive effect on your immune system and its ability to neutralize free radicals. Vitamin E may be beneficial for women going through menopause. Uncomfortable side effects of menopause, such as hot flashes, may be minimized with vitamin E, according to a study published in "Gynecologic and Obstetric Investigation" in July 2007. This study tested vitamin E against a placebo in women going through menopause. The results indicated that vitamin E reduces the severity of hot flashes surrounding menopause. 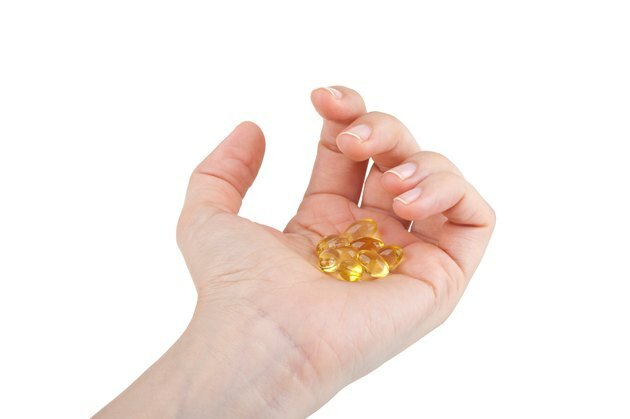 Females age 14 and older need to take in 15 mg of vitamin E each day. Good dietary sources of vitamin E include almonds, sunflower seeds and oil, wheat germ, hazelnuts and peanut butter. Vitamin E is also available in supplement form. Always check with your doctor before taking any new supplement.